Transfer applications are available via the links below and in the front office. Transfer students are accepted on an individual basis as determined by the admissions committee.  When a student transfers to Garces Memorial from an accredited high school only Semester Grades and Units will be posted on the Garces Memorial Transcript; and, the grades will not be used in computing the Garces Memorial Cumulative G.P.A. or used in determining class rank. When a student transfers to Garces Memorial during the academic year (other than at the beginning of the 2nd semester), the withdrawal grades and/or marking period (quarter) grades will not be posted on the Garces Memorial transcript and these course grades will not be averaged with the comparable course grades earned at Garces Memorial. The semester grades assigned by Garces Memorial instructional staff will reflect the students' academic performance (in that course) while in attendance only at Garces Memorial. There is a $75 application fee for processing the online application. Upon acceptance all transfer students will be requested to provide a copy of an Official Withdrawal form & transcript from their previous school. Interviews are held from November through the first week of February. Once you have completed the application, the Office of Admission will contact you regarding your interview date and time. Both student and parent(s) will spend individual time with a member of the Garces community. If you would like to schedule a "Shadow Day" contact Kim Harper at the Garces Admissions office by email or call 661-237-2578. If a transfer student intends to participate on one of the school sponsored athletic teams, the student's parent should immediately contact the Athletic Director after the student has been officially accepted and enrolled. The student must secure the "Application for Waiver of Residential Eligibility Requirements" and "Application for Waiver of C.I.F. Transfer Rule" forms. This form should be obtained as soon as possible to facilitate an evaluation of the athlete's eligibility. Once the form is completed and returned, the Athletic Director will submit the form to the C.I.F. for evaluation. The process can take as long as two or three weeks. Transfer students are not be allowed to participate on a school team until he/she is cleared by the CIF.